‘Tis the Season for Ice Cream yo! No, that’s a lie, for us every season is ice cream season. There is no excuse to not have ice cream, ice cream rules everything around us. It doesn’t matter if it’s a Twister from Tesco, ’99 Flake from your local Ice Cream van (BTW, some are really trying their luck by charging £2 and more…stop it now), a good ol’ Screwball or the best Italian gelato London has to offer - they will all hit the spot, especially during this week’s mini heat wave (HOORAY! *fist pump*). 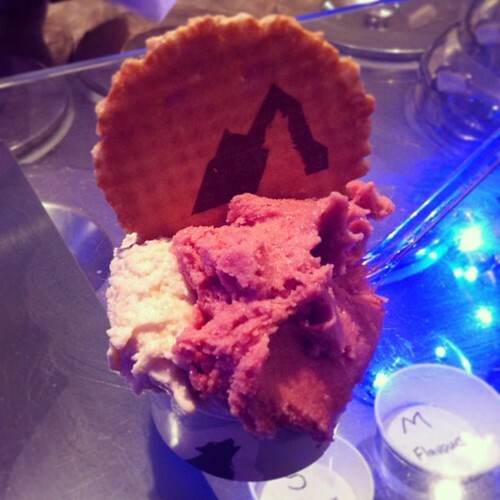 Now, obviously being the ultimate food guru’s that we are, we know some sick spots in London to get your gelato game on. Make the most of the lovely London weather whilst it last, grab some ice cream or sorbet from these spots and just lie lazily under the sun. A firm favourite of ours, if we want ice cream in Central London we won’t go anywhere else. These guys change the menu every day to keep it fresh so you keep coming back for more – eagerly anticipating the next new flavour. The creamiest, softest, gelato you can get in town. Expect flavours such as Lychee, Ricotta and Sour Cherry, Peanut Butter and Blood Orange alongside classics such as Pistachio, Hazelnut and Dark Chocolate. We’ve even tried their yummy Rice Flavour with a scoop of Coronation Curry flavour ice cream! Sounds odd, but it was so good. My personal favourite has to be their Fresh Mint Stracciatella. They also have a large range of coffees, hot chocolates, gelato cupcakes and mini ice cream cones for sale, as well as G-Fit Ice Cream for the health conscious people out there. 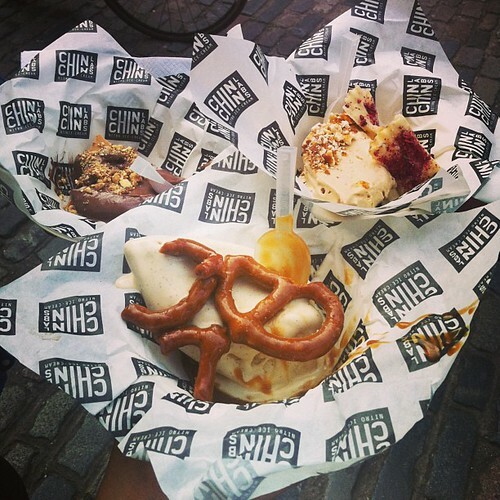 If you want another cool ice cream spot a bit further north, then hit up Chin Chin Labs in Camden. Tucked behind Camden Lock is Europe’s first liquid nitrogen ice cream parlour – a crazy twist to how traditional ice cream is made and served to customers. The ice cream maker looks like a mad scientist with his lab coat on surrounded by mixers and clouds from the liquid nitrogen used to freeze your made-to-order ice cream. Most definitely as fun as it sounds – plus their ice cream is SO GOOD! Rich in flavour and really smooth, but be sure to eat it up quickly as it melts super fast. They have staple Chocolate and Pondicherry Vanilla flavours, and often throw some specials on the menu too, such as Peanut Butter Popcorn, Juicy Pineapple Chocolate Chip and Strawberry and Hay! Don’t forget to try out their toppings - experimental and delicious Grilled White Chocolate, Caramelised Pretzels and Green Tea Peanut Brittle. Or, if you guys are feeling super creative and own an ice cream maker, why not make your own refreshing sorbet like Laura did! 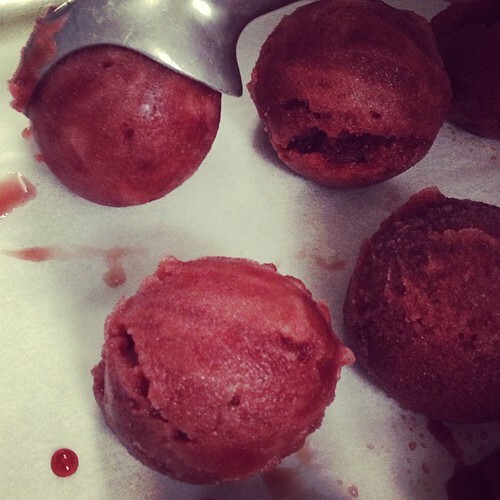 Hello Mulled Wine Sorbet! 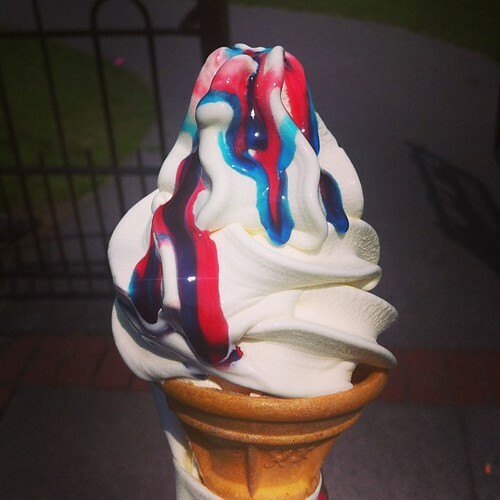 Where is your favourite ice cream parlour in London? Let us know and we will try it out!